The thrill of the hunt, falling in love, and making it yours forever. Let fate be your guide on the heritage craft circuit that weaves through the mountains of Jackson County, North Carolina each fall. Six vibrant festivals showcasing more than 300 artists make a sweep across Jackson County during an eight-week span, from the first sign of fall color until the last leaf has dropped. 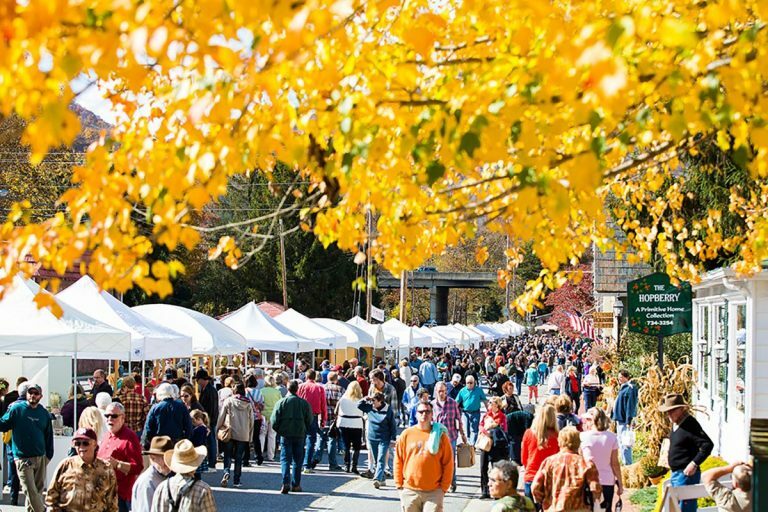 These fall craft festivals unleash the whimsical and incite the exquisite. Meet the artists, hear their stories and watch their handiwork unfold before your eyes. Born from necessity and steeped in tradition, heritage crafts have evolved from the woodsheds and porches of early Appalachian settlers into a distinct artistic genre. Jackson County is a Mecca of this heritage craft movement, where artists reincarnate legacy skills of the past into modern-day creations. Master carvers and metal smiths, skilled potters and weavers, basket makers and leather workers, painters and glassblowers, gourd artists and furniture makers — the tapestry of artistic wares is infinite. From the practical to the fantastical, heritage crafts appeal to every curiosity, from carved walking sticks, hand-forged knives and hand-tooled leather wallets for the men to corn shuck dolls, unique pottery dishes and small-batch botanical lip balm for women, the artisans in Jackson County create it all. Appalachian heritage crafts are immolated in the pages of today’s home and hearth magazines. Think Mason jar porch lights, barnwood frames and tin-punched spice racks. But there’s no replica for the authentic craftsmanship that fills the market stalls across Jackson County during fall. Your finds today will be the heirlooms of tomorrow. The mountain memories you collect on your fall craft adventure in Jackson County will make life sweeter back home. Surround yourself with a hand-curated collection of things you love. Toss your mail on a rustic entryway table, hang your keys on a hammered wrought-iron hook, slip on a pair of alpaca wool socks, snuggle down in a hand-woven throw, sip tea from a pottery mug and relax under a scenic watercolor over the mantel. Make it yours this fall with a heritage craft getaway to Jackson County and check out these events for your next treasure. What: A premier showcase of Appalachian heritage with the flavor of an old-fashioned county fair. More than 100 artists and crafters, including potters, woodworkers, glassblowers, leather workers, luthiers, basket makers, jewelers, and more. When: 10 a.m. to 5 p.m. on Sept. 30. Where: Western Carolina University, Cullowhee, NC. 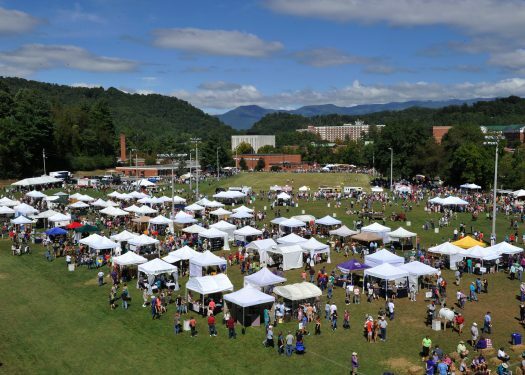 All the rest: Now in its 43rd year, Mountain Heritage Day is an exhibition of Appalachian music, arts, dance and song, with the atmosphere of a big family reunion. More than 15 acts, from big-name bluegrass bands to traditional balladeers and clogging troupes, perform on three stages throughout the day. The fun includes a beard and moustache contest, chainsaw competition, black powder demonstration and Cherokee stickball exhibition game. Free. What: A festive atmosphere takes over the idyllic Village Green in this high-elevation mountain hamlet. 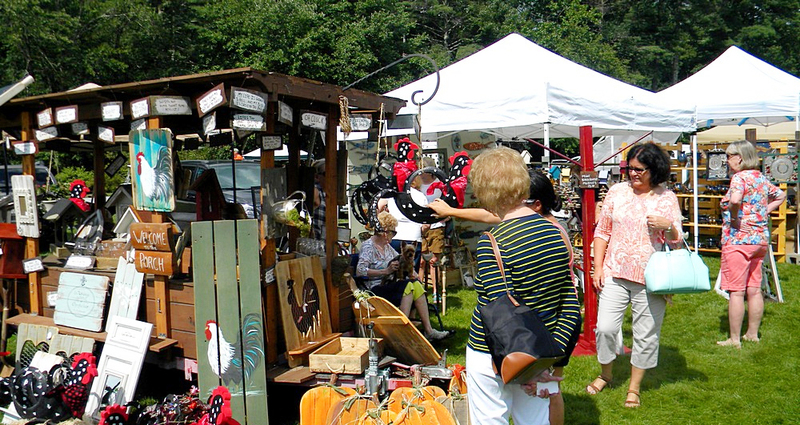 More than 100 artists and vendors ply a wide-selection of pottery, wood carvings, furniture, jewelry and more. When: 10 a.m. to 5 p.m. from Oct. 6-8. Where: The Village Green, Cashiers, NC. All the rest: The weekend line-up includes two stages of live music and dance with ample food and beverage selections. Free. 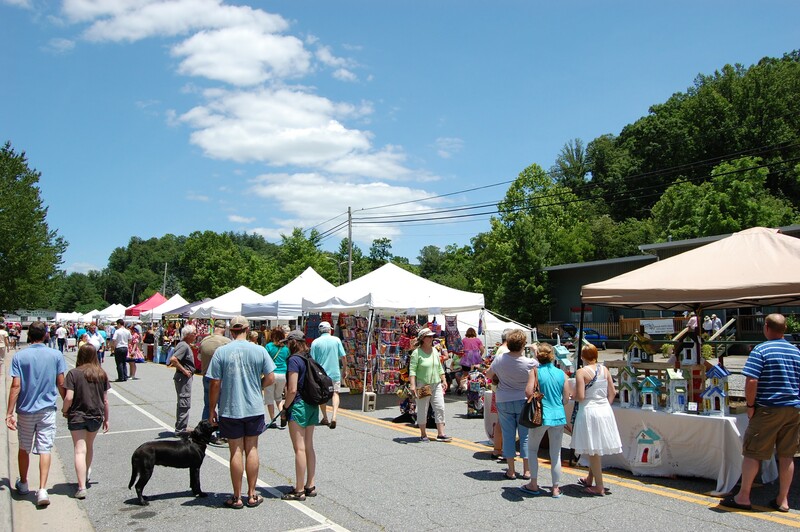 What: The historic village of Dillsboro transforms its quaint downtown into an outdoor bazaar. More than 40 demonstrating artists meet-and-greet festival-goers as they work, including painters creating masterpieces in real time. When: 10 a.m. to 4 p.m. on Oct. 7. All the rest: ColorFest lives up to Dillsboro’s reputation as an artistic community where the creative spirit is nurtured. The festival includes heritage demonstrations, music and food. Free. 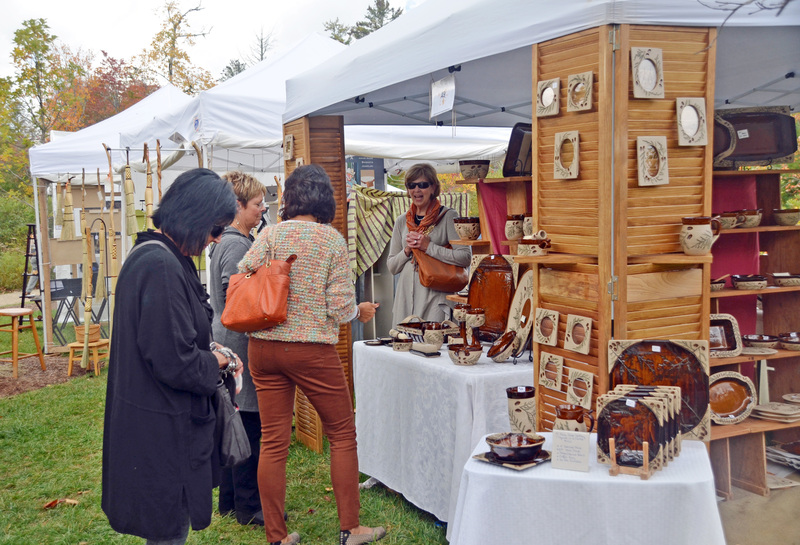 What: A laid-back festival made for strolling, artists exhibit high-quality folk art, fine jewelry, pottery, furniture and more. When: 10 a.m. to 4 p.m. from Oct. 14-15. Where: Sapphire Valley Resort, Sapphire Valley, NC. 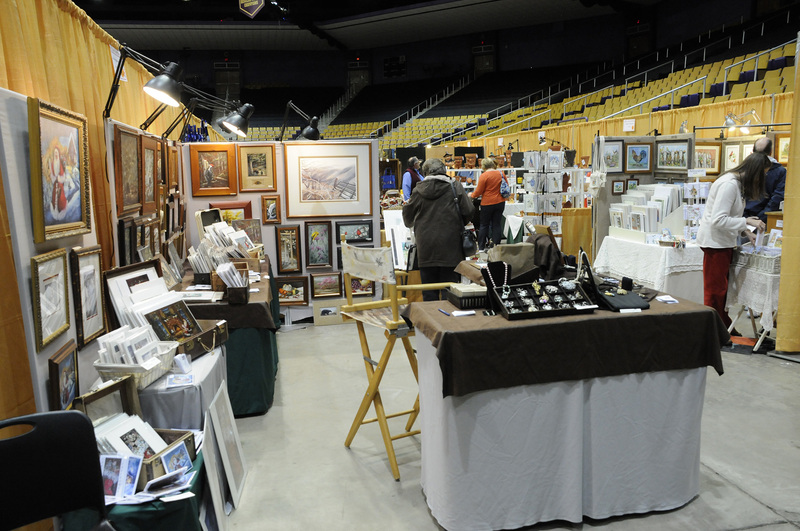 All the rest: This long-running event has a loyal craft fair following who time their trips to Jackson County around this twice-annual show to visit with the repeat artists. There’s also live music and Humane Society adoptions. Free. What: A juried exhibition of more than 40 master potters demonstrating their techniques, this signature pottery festival is nationally acclaimed. When: 10 a.m. to 4 p.m. on Nov. 4. All the rest: Come a day early to catch the Clay Olympics, held Friday afternoon prior to the festival. Potters battle in a “throw-down” in four categories, including a two-minute blind-folded throwing contest on the potters wheel and a mystery event unveiled during the competition. Free. What: Perfectly timed to kick-off the holiday shopping season, more than 100 artists showcase their quality heritage crafts at this large indoor show. This year marks the 30th annual event, billed as a “Mountain Christmas Tradition.” Come ready to shop. When: 10 a.m. to 5 p.m. from Nov. 24-25. Where: Ramsey Center at Western Carolina University, Cullowhee, NC. All the rest: The diverse array of items is staggering, including quilts, folk dolls, primitive furniture, straw brooms, wire art, beaded bags, hand-forged knives, pressed flower art and dozens more. Peruse craft-made foods like jams and jellies, dips and baking mixes and toffee. Holiday crafts include Old World Santa’s, painted pet ornaments and, of course, hand-made ornaments and wreaths. $5 for a weekend pass, free for kids.